Wow! How did this recipe become lost in time. It's truly delicious hot or cold. A cake mix with crispy bacon and cheddar cheese. Top it off with some more crumbled cheese and bake for 30 minutes. British food doesn't get any better than this. 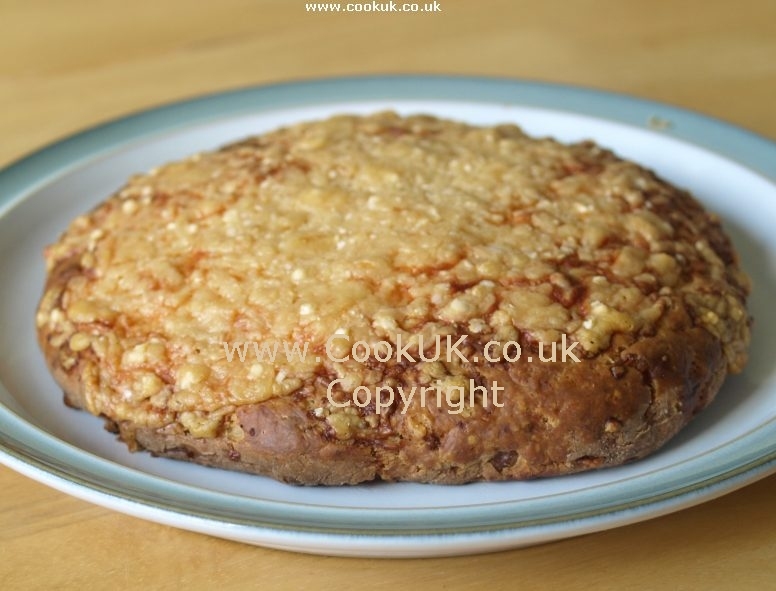 This recipe is an adaptation of a recipe found in a very old Woman's Institute cook book. We don't normally recommend recipes from far back but this one looked good and we gave it a try. It's truly delicious! It can form the centre piece to a full English breakfast or can be eaten cold as a savoury cake. Both are a real treat. The recipe originates from the Birmingham area (England). It's a true British recipe with traditional ingredients of cheese and bacon. Sift the flour, grate the cheese and chop the butter into small pieces. 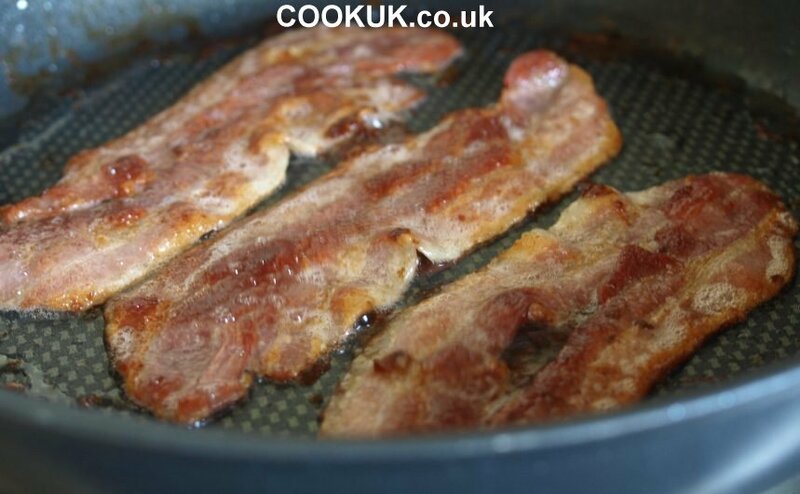 Fry the streaky bacon on a medium heat until the fat has crisped up. 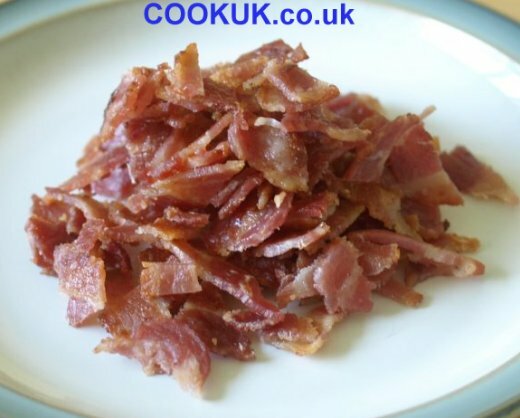 Cut the cooked bacon into smallish pieces and put to one side. Sieve the flour into a bowl, add the salt and butter. Using the tips of your fingers, mix the flour into the butter until all the butter lumps are blended in. Mix the ketchup, milk and Worcestershire sauce in different bowl. 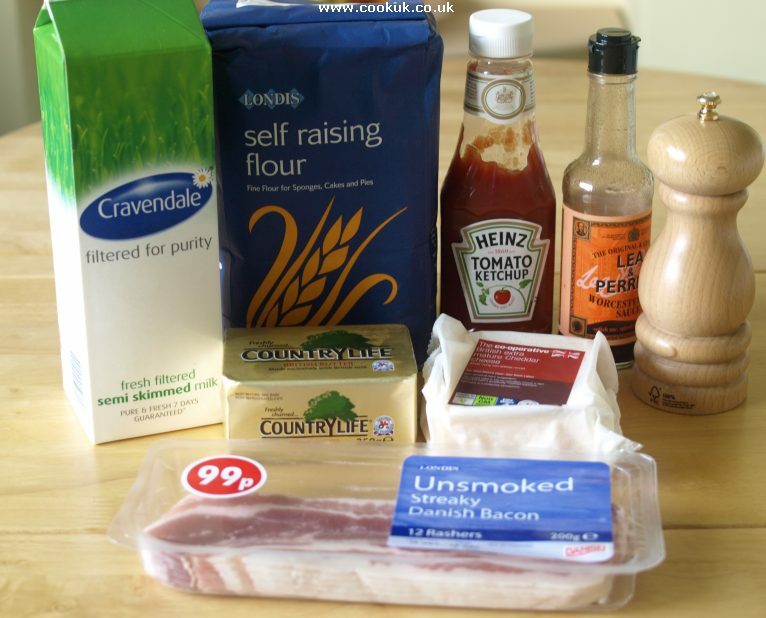 Add the liquid mix, bacon and just over a third of the cheese to the flour mixture and mix well to a dough. 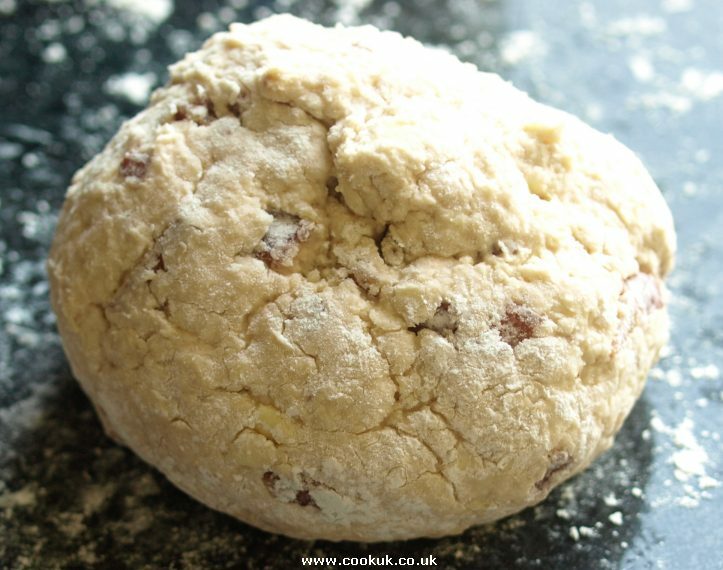 Scatter lots of flour on a flat surface, take the dough out of the bowl and roll it into a ball with all areas of the dough being covered with flour. This will "harden" the dough and stop it sticking. Roll it out to an 18 cm (7 in) thick circle. Brush the top with milk and spread the remaining cheese over the top. Place in the pre-heated oven on a greased baking tray. Remove from the oven after 30 minutes. Cut into four portions and serve. 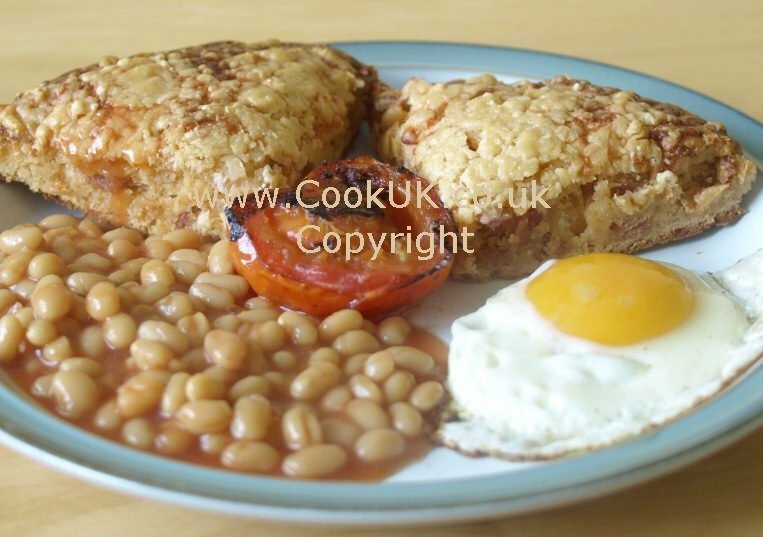 Traditionally it was served with eggs and beans to make an extremely satisfying breakfast.